Last January the United States Department of Agricultre propsed a new bill that would make school lunches healthier for children. The bill asked for simple things like more tomato sauce on pizza so children could get one full serving of vegetables when eating school pizza. The bill also asked for a reduction in the amount of potatoes, which are mostly fried, that would be fed to children. These simple changes would ultimately mean the estimated 11.3 million children who eat school breakfast and or lunches would be getting more nutrition and less fat. 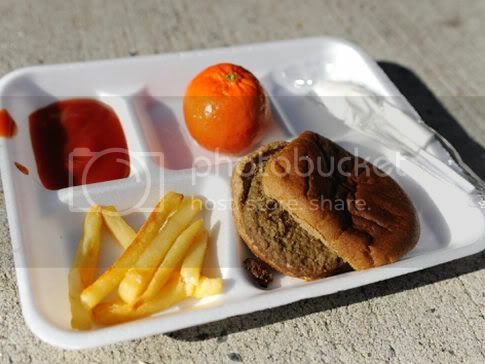 The cost for this nutritious overhaul would amount to a $.14 increase in school lunch prices. However on Monday November 14, instead of passing this bill Congress voted it down because of the frozen pizza companies, and several others that fund these politicians campaigns. Unfortunately congress has proven that they are more worried about their campaigns which are funded by private interest groups than the health and well being of the Americans that elect them to their positions.